-click comedian names to see the outfits in action. – Bernie Mac wore this colorful patterned sleeved shirt on Def Comedy Jam back when most of us weren’t allowed watch. Try this sleek checkered Vintage Luis Alvear Varsity Jacket, to get the same effect without the blast of color and 90s flashback. 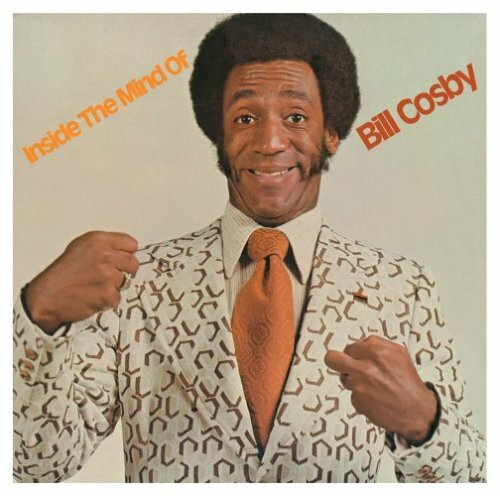 – Bill Cosby is best known for his multicolored sweaters, however this patterned blazer worn on the cover of “Inside the Mind of Bill Cosby” teaches us that prints can be subtle. This pair of leopard printed shades from Billionaire Boys Club builds on that teachings. 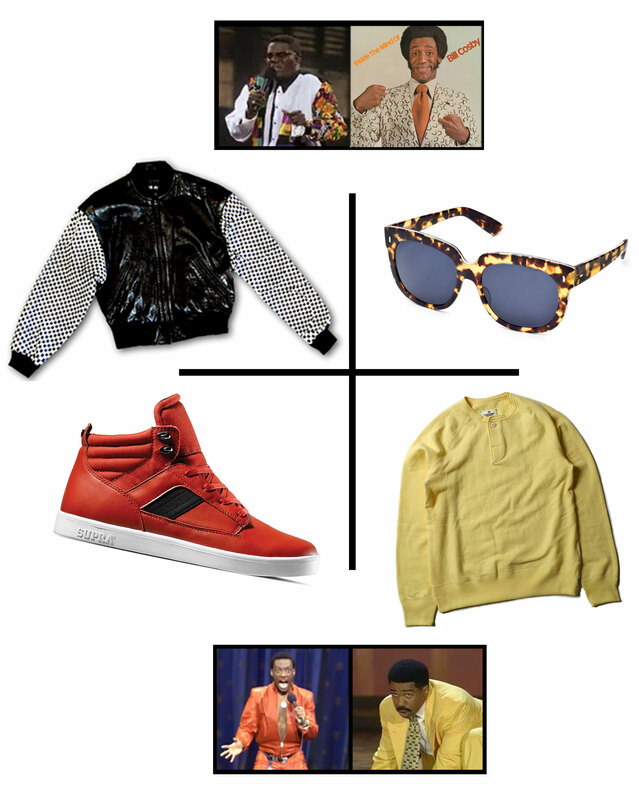 – Eddie Murphy and his form-fitting leather pant suit. ‘Nuff said. These Bandit Midtop Supras give an updated twist on Eddie’s leather dream while keeping your chest in your shirt. – Steve Harvey loves his suits and pastel colors. For the most part, you don’t have to get decked out to show you love for softer color palates. Wear a relaxed top in your favorite color, like this Reigning Champ Henley, to show you appreciation of the softer things in life.